Run for fun, race for time, challenge yourself with a multi day event, or simply walk & explore the beautiful trails of a stunning and mystical country that is close to my heart, Morocco. Morocco Tizi n Trail is a race each year consisting of 3 stages between 20 and 28km between sea, mountains, desert and canyons. This years race began from the picturesque lakeside location of Bin el Ouidane before heading into the trails and mountains surrounding the lake. 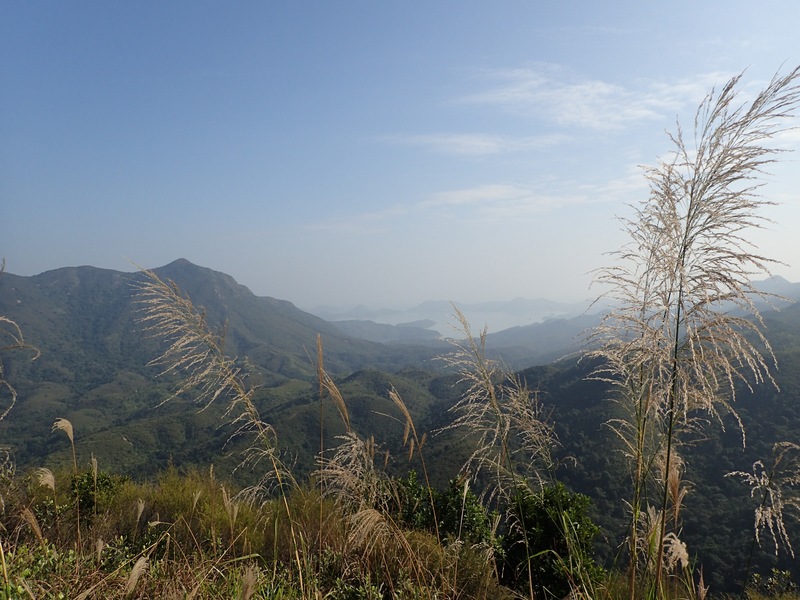 Each day was completely varied from running through fire track trails, to hiking up small mountains and descending into gorges with the most beautiful blue rivers rushing through them, into local farms where running alongside donkeys or kids was just part of everyday life. Temperatures during the evening were cool and the days were delightfully warm and sunny, enough to guarantee a tan line that’s for sure. Having way too much fun on the sunny trails! If you’ve ever wanted to experience Morocco in a unique and active way then this is for you. Whether it’s your first multi day event, your first or hundredth trail running experience or you are an experienced Marathon Des Sables runner give Tizi n Trail a try. 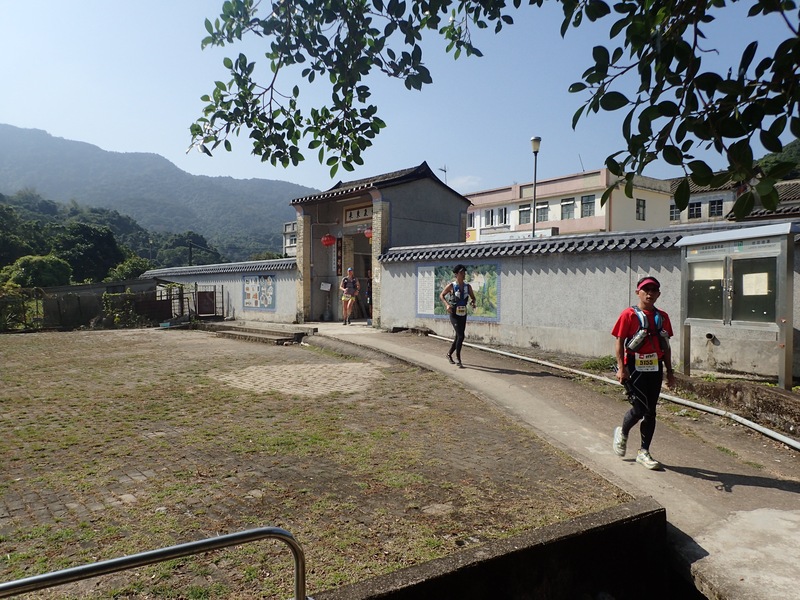 The race is fully supported so that means you only carry what you need for the day; a small rucksack with your essentials like water, food, phone (for the amazing photo opportunities!) and any safety essentials is all you need and the organisation transports your luggage. Arriving at the end of each day to magnificent camps set up with traditional bedouin tents that sleep up to 8 of you including mattress, pillows and blankets; delicious Moroccan food catered for 3 courses each day, along with fully operational showers and toilets. This is living! 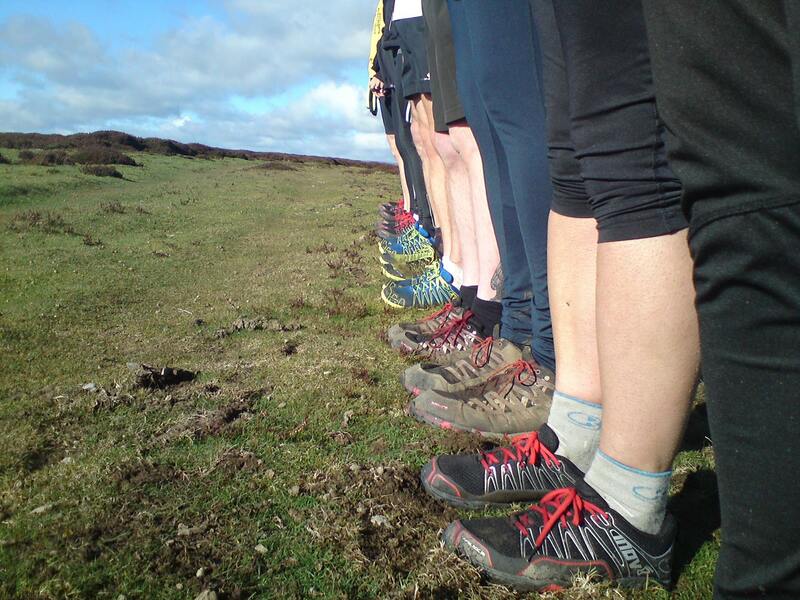 The range of abilities of the participants ranges from those that are there to compete, to first timers and those like me who went for the winter sun escaping the UK tail end of winter and to challenge myself with some decent trails to run or even those who choose to walk each stage. You will make friends for life after spending 3 days together exploring the trails and then enjoying the conviviality of camp life, lounging around on sprawled cushions and dancing to traditional Berber music after enjoying the delights of the country such as couscous and tagines. 2018 will open in the region of Essaouira and promises even more beauty and thrills. Essaouira is located on the coast line of Morocco, which you will recognise from the acclaimed series ‘Game of Thrones’. Essaouira is so unique with its mix of European, Arab and African elements with many of the scents shot on the Scala, the old Portuguese Fortifications. Check out my video of 2017 below and see for yourself how beautiful this event is. For only €680 which includes your 2 nights accommodation in a hotel before and after the race, accommodation during the race with all the catering along with transportation of yourself to and from the start/finish and your bag throughout the week, medical assistance and the finishing awards ceremony this price is too good to pass up. All you need to sort out is your airfares and getting to and from the airport. If you are interested please get in touch with me at runningdutchie@hotmail.com or send me a message via twitter or instagram as I am proud to say I am the UK representative for this event and will be hosting you to assist with all arrangements from the UK and throughout the days in Morocco to ensure you have the best time without any hassle whatsoever. I hope you will join me for 2018 from 22 to 26 March for the time of your life. Registrations open from Sunday 14th May 2017. Check out more details at the event home page here. After such a big year in 2016, particularly with my personal challenge of running #500kin5days with Marina Ranger in Simply Runderful; my body needed a rest. So did my heart and my mind. 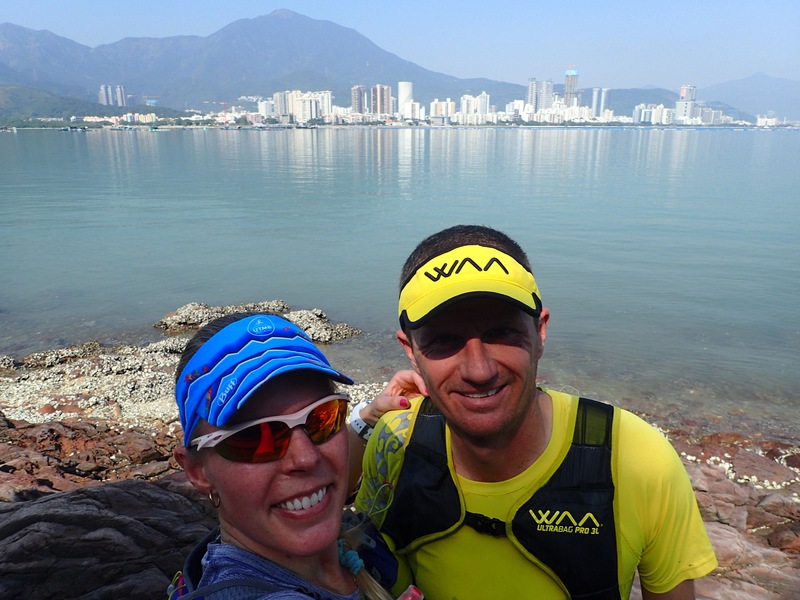 I’d had a lot going on in the back end of the year with my husband, Dion living in China from August until January with Finding Gobi and this had left me drained emotionally, the extent of which I didn’t realise until even after a DNF (Did Not Finish) at UTMB in August but into September when ‘life’ began to feel all a little too much for me and I resigned from my full time job to take some time out and focus on Finding Gobi with Dion and support him until we could all be reunited. Needless to say effective training and eating went out the window as there wasn’t much time or desire to push myself physically. I think it’s important for everyone to take stock sometimes and realise that you have to prioritise and it may not be exactly how you planned it in your head but life never goes to plan after all does it?! Plans are meant to change and although it was a tough end to the year it was worth all the heartache and stress throughout as I now have both Dion and Gobi home with me safe, sound and most importantly happy. Now it’s time to refocus on my challenges for the year. I’ve managed to kick start my training with my new job managing the Village Hotel in Edinburgh, which in case you didn’t know has state of the art leisure facilities of which I am making good use of and have just started getting some personal training with Huw Davis to focus on building some strong glutes for the upcoming mountain racing season. I’ve had a couple of good weeks getting back into serious training, building up the miles consistently. In my week I try to always fit in a strength & conditioning session, speed intervals, hill repeats and a long run as the basic week and fill around that; always with a rest day or more depending on how my body feels. What is the plan for the year then I suppose your wondering? I’m heading to Morocco in a few weeks to run the 3 day race Tizi n Trail, which is a chance to escape the Scottish winter for a few days in the hope Moroccan sun, it’s no Marathon Des Sables, and the crew of the race carry all your luggage, cook for you, provide accommodation and there’s even showers and the runners run from point A to B each day with approximately 20km distance to cover each day. It will still be challenging terrain but it will be stunningly beautiful and a great way to revisit Morocco and kick start the years racing. In April I’m running local! 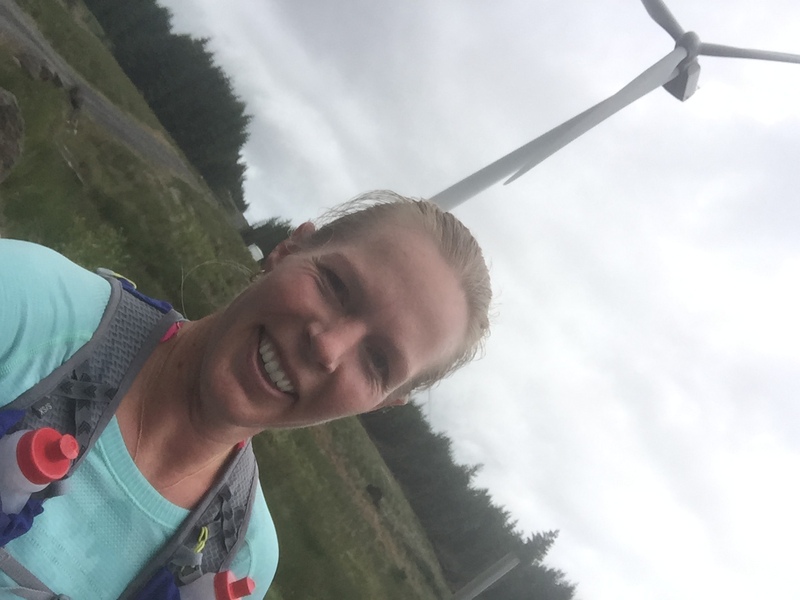 I’m running The Highland Fling which is a 53 mile race along the first half of the West Highland Way from Milngavie to Tyndrum. 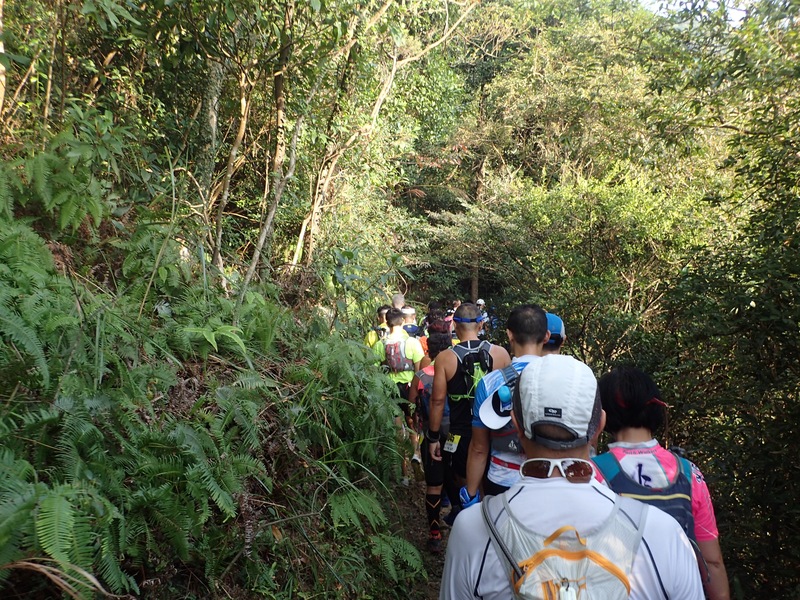 It’s a challenging day out and the race is always full of a strong field of runners. Then it’s time to head off to the mountains! As I didn’t get into the ballot for UTMB I’ve entered the Zugspitz Ultra in Germany, a 100km mountain race with 5,400m of ascent it will give me valuable points to enter the ballot for UTMB again for next year as well as ‘if’ I can complete the race in under 22 hours it’s a qualifier for Western States Endurance Run which I’d love to run one day. 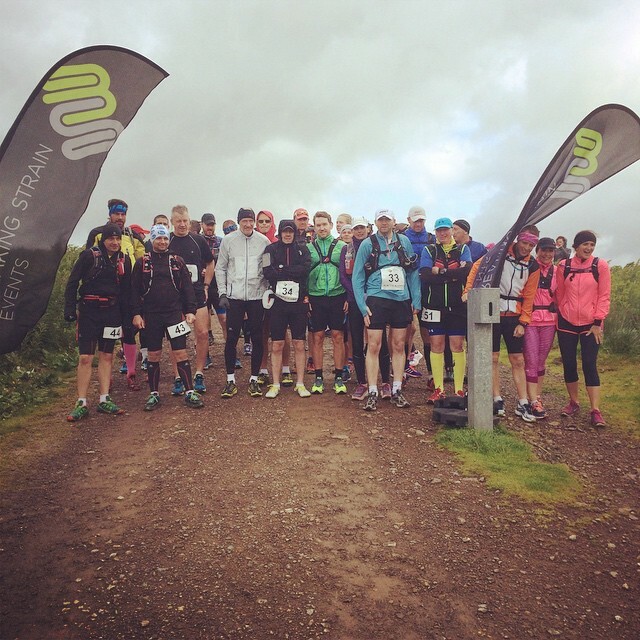 The Scottish hills call again and after running the Vertical Kilometre last year as part of the Skyline Race series, I’ve decided to run the 110km Ben Nevis Ultra which is a new addition to the series this year with a hefty 4,000m of ascent. 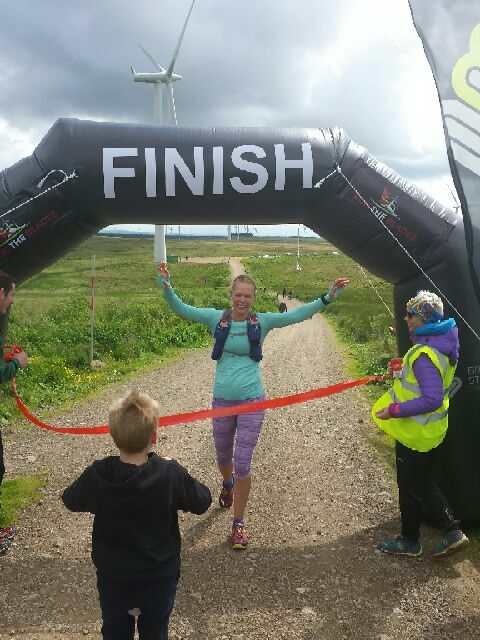 With a deep love of the Scottish hills I couldn’t go past running the Glencoe Marathon this year, road marathons don’t interest me but the trails certainly do and with Glencoe being billed as one of the most beautiful and challenging off-road marathons I couldn’t resist. This is on the 1st October and I’d love to see some familiar faces joining me so if you fancy coming along then enter here and get a 10% discount off your entry (discount code: VHLcjGMG2017, valid until 31st May 2017 so be quick!). Or take on the half marathon or 10k if you don’t really fancy the full 26.2 miles. I’m still throwing around some ideas for the other months of the year, and making good use of a fab new website Race Base World where you can search by month or location to find that perfect race, but this is certainly a good start to the calendar. Let me know if you’ve done some of these races or if you are coming along to them this year, would love to hear all about them or say hi at the events. Check out my video and join the challenge to #Run1000miles in 2017 and be the fittest you ever! 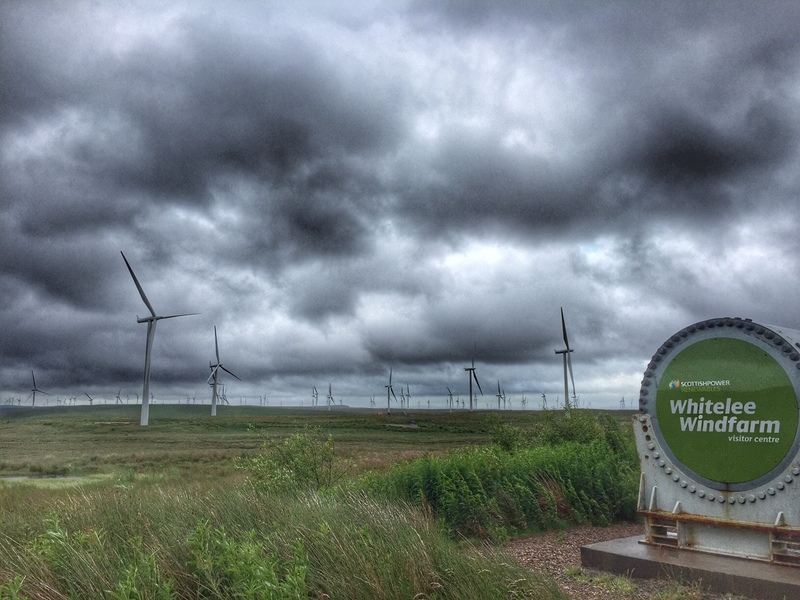 On the drive over from Edinburgh to Glasgow basking in the Scottish summer of lashing rain and high winds I did question the sanity of going to run a 50 km ultra through Whitelee Wind Farm, the largest on shore wind farm in the UK. What made me question this even further was Dion egging me on even further to “Sack it off and head to a greasy spoon”! But thanks to the lovely event organisers from Breaking Strain Events, Garry and Lee, who had kindly given us free entry to try out the inaugural running of the event we felt we couldn’t let them down. 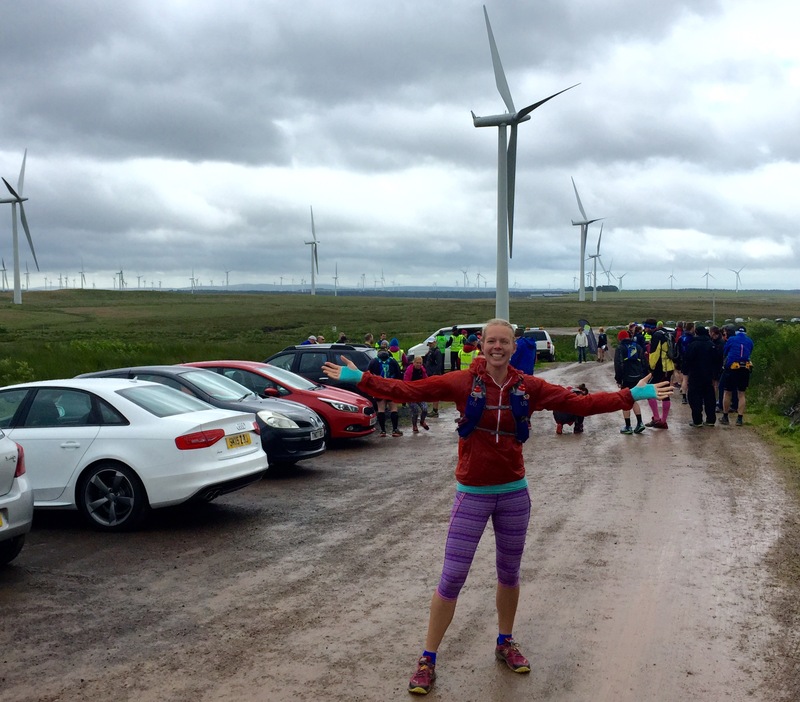 It was also part of my training plan to fit in the 50k so it needed to be done one way or another and I’d never run in a wind farm before which for some reason I really wanted to. On arrival the race banners were up, just, nearly being taken away by the winds (obviously they found the right location for the wind farm!) and the guys explained they did have some race marquees but couldn’t keep them down in the weather so suggested to hang out at the interesting visitor centre until the pre-race briefing at 9:40am. Thankfully the cafe in the centre wasn’t open otherwise Dion might have got his way with a fry up and watching the race from afar. A quick brief to explain what the race markings looked like and to warn us that if we saw lightning to call the emergency number straight away, none was forecast thankfully, but if it came the race would most likely be cut short as wind turbines are highly vulnerable to strikes. To save us getting cold once the briefing was done the race began immediately and it was a nice wee downhill to start. For the first kilometre it felt like we were all out for a social run together more than a race as there was a group of about 10 of us just easing into the run, we were probably all suffering from cold bodies so once we warmed up the pack split up pretty quickly and spread out. Even though it was wet and windy, it was humid and having started in a waterproof jacket it suddenly dawned on me it wasn’t a good idea wearing it so I dropped from the main pack to take it off losing sight of the first lady. Dion who had started extremely slowly as thoughts of dropping from the race due to weather finally managed to get warm and get going and as he went past me I then enjoyed seeing him ahead pick off the mid pack and work his way up to the front of the race. 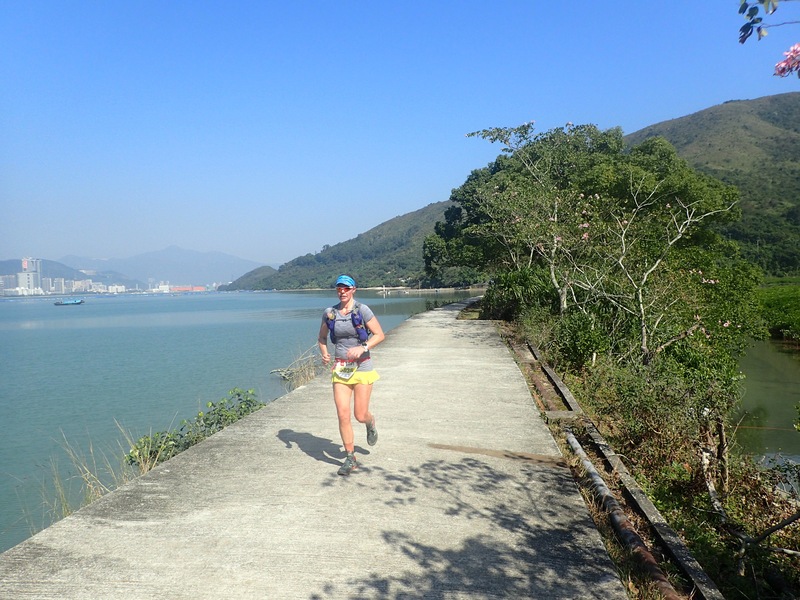 This pushed me on to pick up my pace and work hard on chasing down the first female ahead. Start line – don’t we all look warm & cosy?! 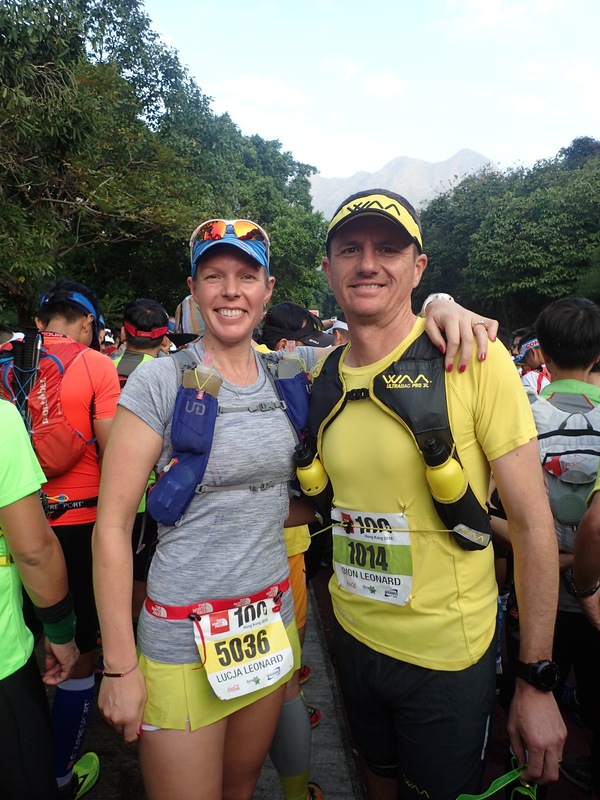 The race was a little toughie, with 1,400m of ascent over unforgiving hard-packed trails which I certainly felt in the ankle joints and groin muscles towards the end and afterwards. Some sections were rocky, still runnable but that awkward rock where your ankles are turning left to right, and of course the 30mph winds along with the drenching rain throughout added another element of toughness. 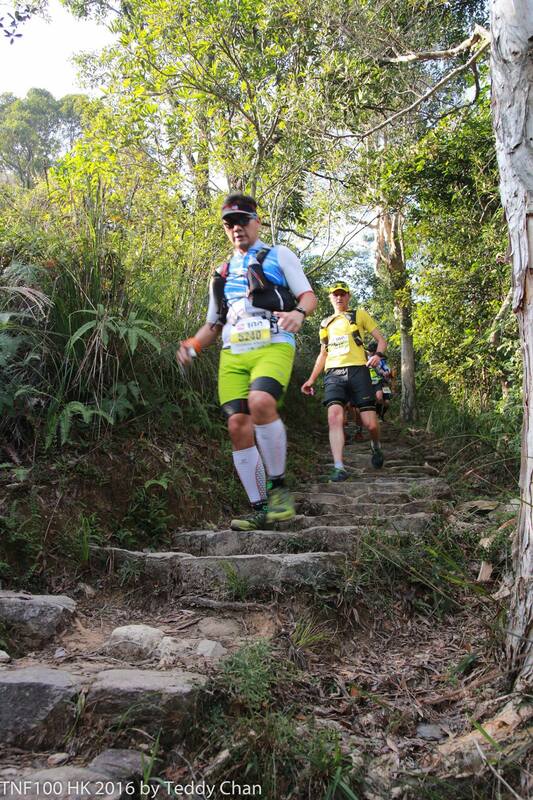 I worked hard to the first checkpoint overtaking first lady along the way. I knew there was a solid field of females capable of chasing me down so I used that energy to push me through the tough conditions on offer. Being the inaugural event it was pretty low key but well organised, the route was well marked with no chance of getting lost and the checkpoints, though basic, had water, an electrolyte mix, some bits of food to choose from and portaloos at each one. I carried my own gels, went through 4 gels and some energy chews as I prefer to rely on myself for my nutrition and just take water from the checkpoints, and a cheeky swig of some coke at the 3rd and last checkpoint of the day. Kudos to the volunteers stood out in that weather to support the runners, I’d rather be running any day, and at least you stand a chance of keeping warm! I’d never run through a wind farm before and it was fun running under these huge wind turbines making the loud whooshing noise as you ran underneath them, I kept feeling like I needed to duck as it would knock my head off but they were obviously way up above me. Whilst I’d won stages of multi stage events before I’ve never gone on to win a race completely so this was a big step up for me and my first chance to run through the winners tape was a great experience, one I am very keen to repeat. Finishing 1st lady with a time of 4h 55m I was one satisfied customer. Dion did amazingly well too, coming in 3rd overall in 4h 12m. His training has really started to pickup again from his recent health issues at West Highland Way race a few weeks earlier and I know he’s building to some bigger results going forward. Both of us left with our confidence built up and having met a great new group of people, and an old favourite of course with Graham Kelly waiting at the finish line to cheer us in. 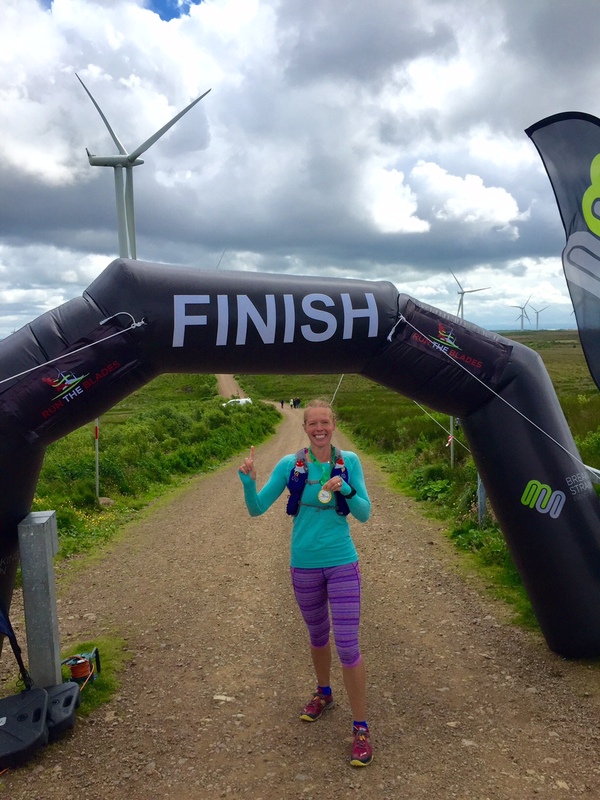 Fancy running in a wind farm then come along and give this race a go, I think it will grow to be a much bigger race in a few years to come and even with good weather this would be a tough race as it is so exposed it will never be an easy one. With the legs almost recovered, I’m off to try out another inaugural event this Sunday 26th July, the Fort William Marathon up in the Scottish highlands. It will come as no surprise to you that I am involved in organising a great fun filled, adventure packed and informative ultra running day in Edinburgh. 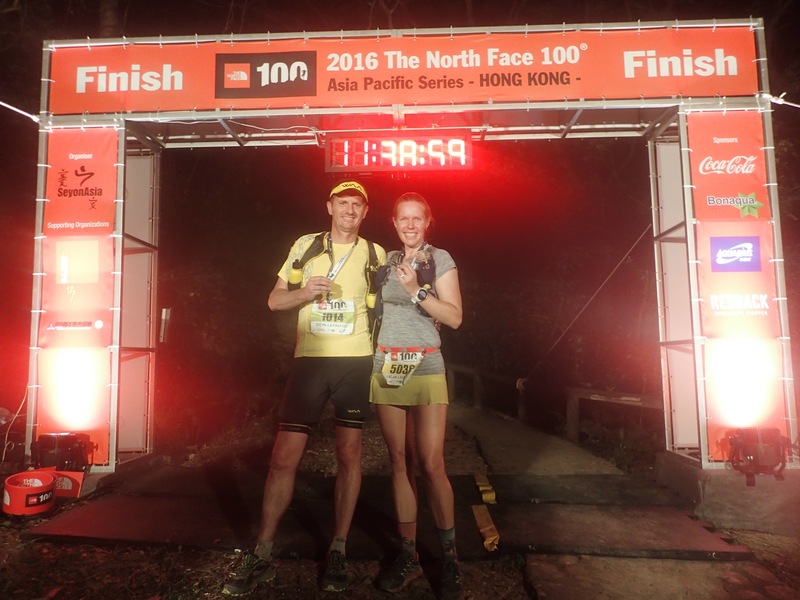 I have hooked up with legendary Andy Mouncey and created a full day of excitement for the running community. 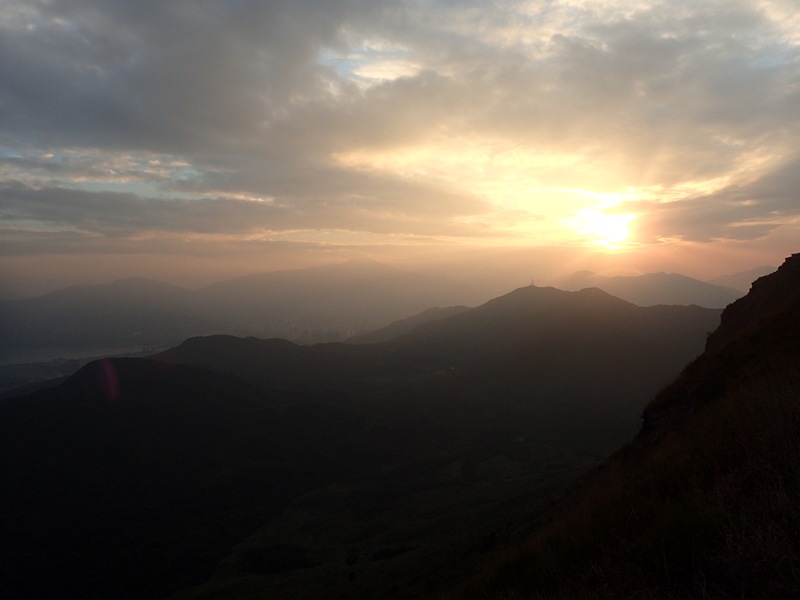 Whether you are already an accomplished ultra runner, or just dipping the toes in, then this day is for you. We have got hill coaching sessions on Arthur’s Seat, with kit to try out on the session from Out-Run, free workshops during the day, kit from Vivimoss to check out, food galore at our host HQ Crowne Plaza Edinburgh – Royal Terrace, Pilates for Runners by Sam from Essential Wellbeing, and evening talks from yours truly, Andy Mouncey and Edinburgh’s own adventurist Dr Andrew Murray. Check out all the details on our dedicated Facebook page by clicking here where you will find more details about all the sessions, the people coming and a full agenda. Certain sessions require bookings so don’t leave it too late.